Bank transfer: All bank transfer fees are up to the buyer. Please check with your bank to confirm costs for the operation. Orders will not be shipped if bank transfer costs are imputed to Ekotoy. Credit card via PayPal: It’s one of the safest ways to pay online and you don’t need to have a PayPal account to pay with credit card. We chose these 2 payment options because they are the most secure ways to pay online and, for your own security, we don’t have access nor store any of your credit card details. Note: All payments made by credit or debit card are subject to authorisation by your card issuer. If your card issuer does not authorise payment to us, your order will not be accepted. If that’s the case, we cannot be responsible for any delay or non-delivery of the products you wished to buy. All bank transfer fees are up to the buyer. Please check with your bank to confirm costs for the operation. Orders will not be shipped if bank transfer costs are imputed to Ekotoy. 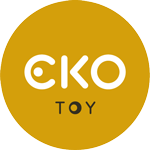 All pricing on Ekotoy website is in Euros (EUR) and includes VAT (23%). Ekotoy reserves the right to change prices without notice. Price list is verified regularly and may be subject to change at any time. Whilst we try to ensure that all information displayed on our website is accurate, human errors may occur. Ekotoy reserves the rights to cancel the order when software or human errors occur (e.g. : products with an obvious faulty price). If we discover an error in the price of goods that you have ordered we will inform you as soon as possible and give you the option of reconfirming the order at the correct price or cancelling it. We must receive payment in full before your order is processed and shipped. Once payment has been confirmed, your order will be processed and shipped. Your order is only accepted once we send you an email confirming that your goods have been dispatched. Ekotoy is registered in Portugal, therefore all shipments to EU customers will be automatically invoiced with the Portuguese sales tax of 23% included in the price. Sales tax is unlikely to be refundable or deductible in your country. Orders shipped to countries outside the European Union (EU) will not include Portuguese VAT. However, you may be subject to import duties and/or local taxes, which are charged once the package reaches your country. For these countries we use delivery term DDU (Delivery Duty Unpaid). That means that the price that is displayed at checkout is exclusive of all taxes and duties. We are unable to advise the exact amount of Duties and Taxes your parcel will incur, because you will be billed directly by the customs office of the destination country. We use a secure transaction environment for commerce on the Internet – Secure Sockets Layer technology (SSL) – to ensure your shopping experience is safe and secure. Credit card payments are done through the Paypal gateways, thus no credit card details are stored in our system. We reserve the right to end any promotional coupon codes without prior notice. Discount codes are not redeemable against sale items, unless otherwise stated.